Woodlawn is a privately – owned and operated facility upon a lovely country setting in an old manson overlooking the town of Newport. 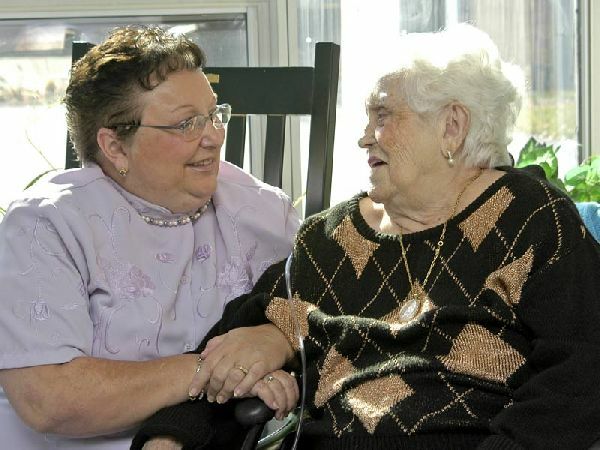 Woodlawn has been providing long-term care since 1974 and has been providing skilled nursing care since 2004. Woodlawn has a total bed capacity of 53 beds, making it a very unique setting for our residents. Each room carries its own uniqueness thus capturing a home like atmosphere for our residents. History has proven quality service to our residents and community. When you enter the facility you should get the feeling that our residents always come first and that we make a difference in their lives. We are committed to making them feel that this is their home and we are part of their family. We also strive to make you feel the same way. This is what makes Woodlawn so unique and different from the rest. Our residents receive 24 hour nursing care based on an individualized plan of care developed and delivered by their physician and our interdisciplinary team of professionals, including our Registered Nurses, Licensed Practical Nurses and Licensed Nursing Assistants. Physical, Occupational and Speech Therapists, as well as our staff psychiatrist, with prove professional services, have become a vital part of the resident care plan.